Apple has begun cracking down on piracy of paid applications from its iOS App Store by sending legal takedown notices to servers hosting one popular service that aids people in stealing software. Users can illegally obtain software from the App Store by jailbreaking their iOS device and running an application called "Installous." That provides access to a resource of cracked applications known as "Apptrackr." But as noted by Cult of Mac, the head of Apptrackr has revealed that "huge takedown notices" have been sent out by Apple's legal team in an effort to shut down the piracy service. The Apptrackr service has since stopped directly linking to pirated software, and now has CAPTCHA verification checks when users steal software. The piracy group has also moved its servers overseas to avoid Apple's legal actions, which has apparently driven up costs for Apptrackr. As a result, the service has introduced mobile advertisements, and told users that it cannot continue to survive on donations alone. App Store piracy has been around for years, though there has not been much indication that Apple has been aggressive in shutting it down. The company has been engaged in a cat-and-mouse game with jailbreak developers who look for exploits in iOS to allow them to run unauthorized code. While piracy is one reason some people jailbreak their iPhone or iPad, jailbreaking can also be used for entirely legal purposes like unlocking an iPhone or running applications not approved by Apple. However, the jailbreaking process does void Apple's warranties for iOS devices. Theft of iPhone applications has been common enough that developers have found ways to profit from pirates. 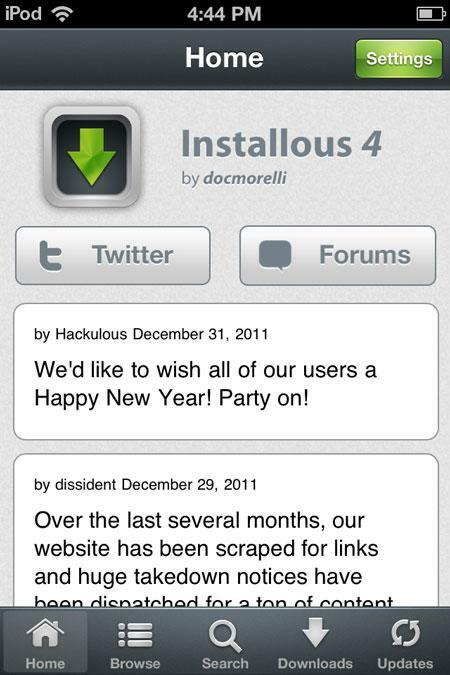 In early 2010, the developer behind "Tapulous" said many who stole their game were later buying legal music downloads from within the game using Apple's in-app purchasing system. Last July, one developer revealed that Apple still allows users who pirated an application to log their progress through its Game Center social networking service. They said their game, "FingerKicks," sold 1,163 legitimate copies, but at least 15,950 pirated copies had been logged on Game Center.